Fisheries Department director-general Datuk Munir Mohd Nawi claimed Malaysia has been over-fished, therefore requiring preventive measures or rehabilitating programs for fish to repopulate. He cites global warming, climate change, and pollution as the contributing factors. According to the annual reports from Department of Statistics Malaysia, the amount of salt water and fresh water fish decreased from 2016 to 2017. 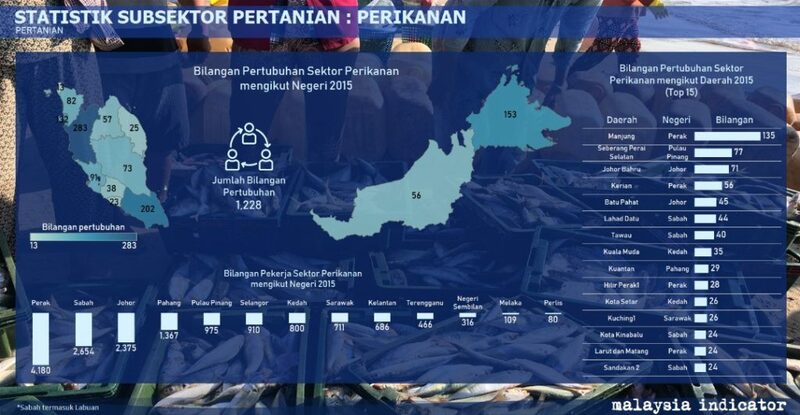 Data collected on establishment of fishing sectors around Malaysia indicate Perak has the highest amount of fishing establishments, followed by Johor and Sabah. Just a month ago, Pasir Gudang was the talk of the country because of the chemical dumping at Kim Kim river. Consequently, fishes in the river did not survive the pollution. Recently, it was also reported that fishermen around Kota Tinggi area lost their primary source of income due to ammonia pollution, causing the death of hundreds of fishes. Likewise along Sungai Rui in Perak, fishermen have made complaints on dwindling catches over the years. Perak Environment Committee chairman Dr Abdul Aziz Bari said low level arsenic was found in the water samples taken from the river, citing the illegal companies operating upstream as the cause. However, Perak MB Ahmad Faizal Azumu said the state has received proposals to build a wharf factory in Segari Lumut. This could not only affect the livelihood of fishermen, but also the turtle population near the coastline. On the other hand, there have been numerous cases of fish bombing in Sabah. To elaborate, it is an illegal practice of utilizing compound explosives to incapacitate or kill fishes in water. Last month, a 16-year-old died from a blast while using fish bomb. 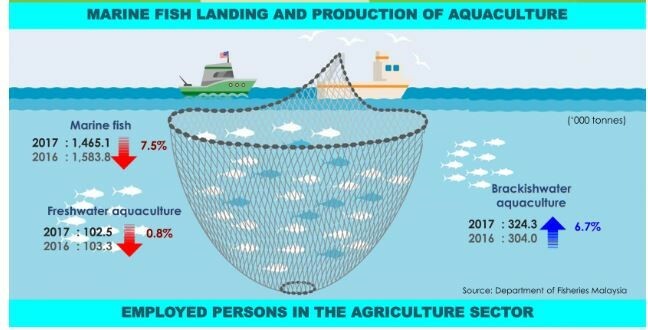 Besides being lethal and illegal, it permanently harms the underwater ecosystem, drastically reduces the population of fish, and damages the state tourism. On a side note, Sabah is a hotspot for diving. Datuk Munir Mohd Nawi said there are efforts to improve enforcement against illegal fishing, especially by foreign vessels who uses trawler nets, which potentially destroy the marine life like corals. Nevertheless, the public must uphold the responsibility of protecting the sea and not just rely on the government to rehabilitate them.